Join the Mobile+AI Workflow Revolution. Intelligent, Personalized Workflow Apps, for Every Business. Between your People, Processes, Products and Data. TwigMe empowers businesses to launch innovative mobile experiences to improve support, engagement and productivity. With collaborative workflows that are intelligence driven, contextual and real-time. Gone are the days of being tethered to your desktops and struggling with a patchwork of emails, spreadsheets, project management, communication and data sharing tools to manage complex workflows. With a unique combination of a no-code workflow builder engine and mobile app virtualization, the TwigMe platform can create and deploy secure and scalable mobile workflows in a matter of hours or days, with little to no developer dependence. Whether looking to develop mobile first workflows to drive customer or employee engagement, improve productivity via automating processes and enabling real-time access to data and collaboration, or optimizing support channels for your products and services, TwigMe enables you to transform and innovate at the speed of ideas. With security, scalability and reconfigurability as key tenets, the 'No-Code' TwigMe workflow builder engine with mobile-app virtualization helps unite and organize fragmented functionality across the organization into a centralized business interactivity hub, without the high reliance on an expert developer team. New employee on-boarding, Idea and feedback management, Task and escalation management, Content sharing and training. Membership management, Loyalty programs, Appointment management, Feedback/support management, Lists and outreach management. Product development flows, Distributed data collection, Checklists & approvals, KPIs and dashboards, Triggers and Notifications. Attendance management, Access controls, Smart ID card integrations, Location tracking, Visitor management, Asset tracking. Dynamic product listings, Inventory management, Shopping carts and payments, Authentication, Real-time updates. Connect and build lasting relationships with your employees, customers and partners. Your users expect exceptional experiences every time, regardless of the device, location, or time. Support and engagement channels that are responsive, intelligent, and immersive. But custom developed apps often fall short on agility, flexibility, and scalability, and poorly architected infrastructure leads to inefficiency, sluggish time to market, and poor customer experience. The TwigMe platform enables adaptive and intelligent mobile workflow solutions, purpose-built for you, and deployable in a matter of days or hours. TwigMe helps you accelerate the path from vision to value, crafting mobile experiences that build engagement and loyalty and grow your business - no matter the industry, business or audience. Transforming user experiences across verticals. Enabling educators to drive collaborative and transformational learning initiatives. Driving efficiency and user experience with secure communications and ease of interactivity. Engage employees, manage ideas and innovation, drive workflow productivity, enable data-driven decision making. Connect with every user and personalize support and service and add transparency to transactions. Optimize human capital and minimize downtime. Streamline operations, inventory, logistics, tasks and workflows. Make planning, organizing, discussing and sharing information with members and other stakeholders quick, simple and fun. Our goal is to make TwigMe's unique interactivity platform open to developers, agencies, businesses and more. With TwigMe's rich set of interactivity and identity features combined with NLP/AI/ML/Context algorithms, a no-code workflow builder engine, and mobile app virtualization, delivering unique and delightful mobile experiences is now within everyone's reach. We are makers, thinkers, and doers. We believe there’s no limit to what we can make happen together. Let's partner to design a better future with TwigMe. Secure, scalable, structured, real-time, state-of-the-art integrations, ever-evolving to offer a growing suite of interactivity elements to leverage in your applications. Don't re-invent the wheel. With APIs to give access to all the data and functionality available on the platform, there's hardly any coding you'll need to do to build custom user experiences for your businesses. Android, iOS and Web SDKs to let you churn out your interactivity app in a matter of hours. With field tested solutions, and plenty of templates to start from, and third party integration examples, you can get going in a jiffy. Make it your own. The platform gives you tremendous flexibility to churn out delightful end user experiences, with your business' brand front and center. Leveraging every sensor built into modern smart phones, the platform allows you to integrate and derive context from the physical world. Whether its QR codes, NFC, BLE beacons, WiFi tags, audio tags, geo sensing - we have you covered. Workflows, Chats, Forums, Notifications, Galleries, Bulletin boards, Tasks, Forms, Lists, Memberships, Payments, Loyalty, Rewards, Access control, Location tracking - the list goes on and on. Managing project and team centric discussions, data collection and sharing and document management for a large architecture and environmental clearance agency. Using transformative mobile technology to drive several new initiatives for a large schools, centered around student safety, parent collaboration and outcome based education. Keeping parents and teachers engaged is of utmost important for a student's holistic development. 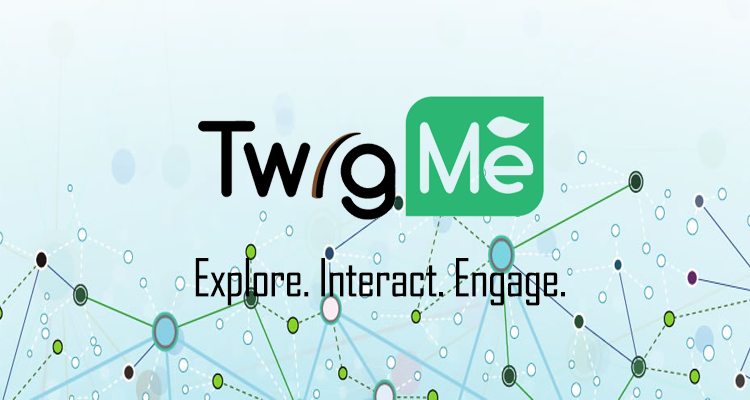 For our 5000+ students and parents, to connect, interact and stay informed, TwigMe is the best tool we have found. Configurable, scalable, secure and backed by a world class team. Driving new product development workflows at one of India's largest FMCG conglomerate. From requirements to a product live in action in under 2 weeks! Driving collaboration between teams, managing tasks, notifications and escalations, document sharing, reporting and learning algorithms - all integrated into a sleek workflow app. There is a lot more we intend to do with the platform over the coming months and years. Using transformative mobile technology to drive several new initiatives for a large school chain, centered around student safety, parent collaboration and outcome based education. At Indus Pune, TwigMe has been a hugely successful application. It is well tailored to meet the diverse needs of all the stakeholders in the school, keeping everyone updated in real time. This has been possible due to the professionalism and work ethics of the TwigMe team. Engaging users with a mobile solution to manage appointments, feedback and in-center workflows at a large US based chain of pediatric centers. We started with a TwigMe powered patient engagement solution, and having experienced the flexibility and scalability of the solution, are developing several more workflows around inter-center collaboration, nurse triage systems and more. Truly unique. Managing a subscription based organic produce delivery business with customer centric apps and distribution workflows. A single platform that can manage both our front-end and back-end workflows. Immensely flexible, adapting to our changing business requirements, as well as able to scale seemlessly with our growing customer and product base. Love it.